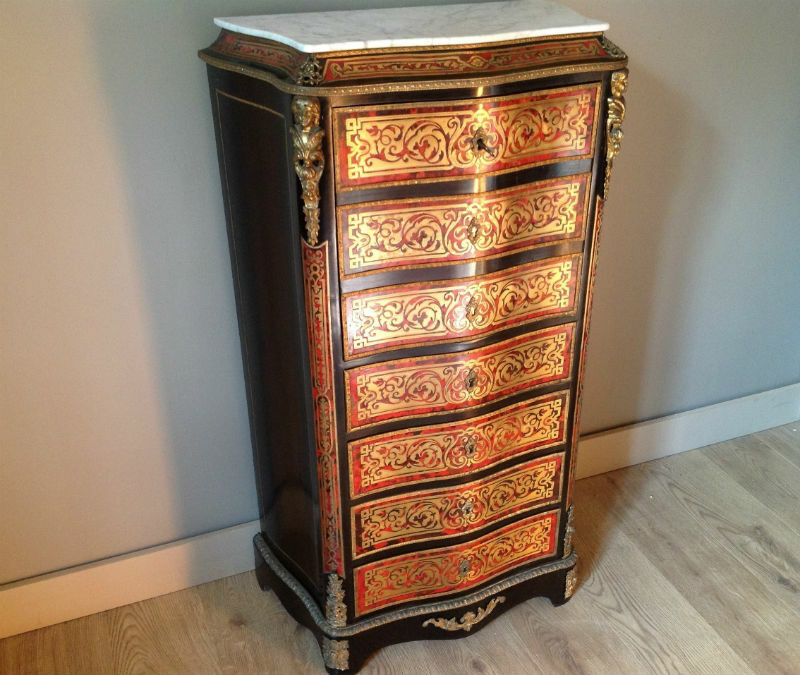 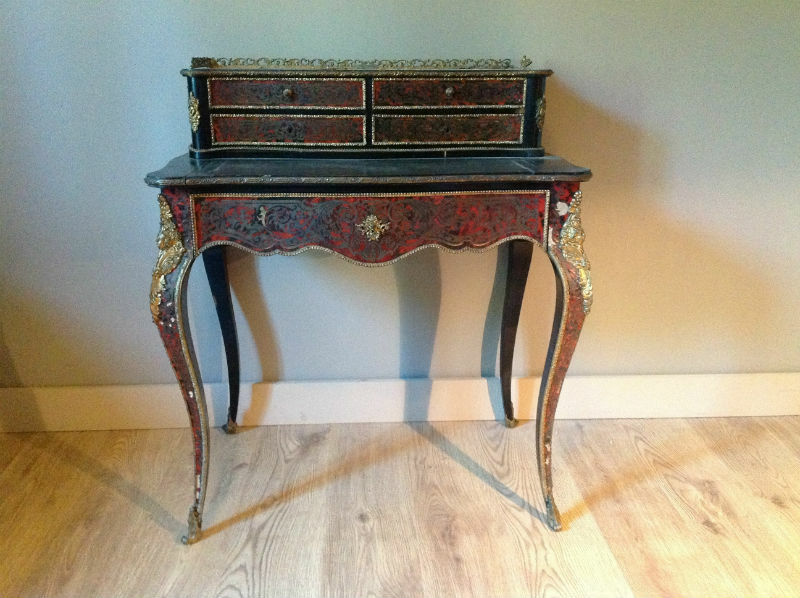 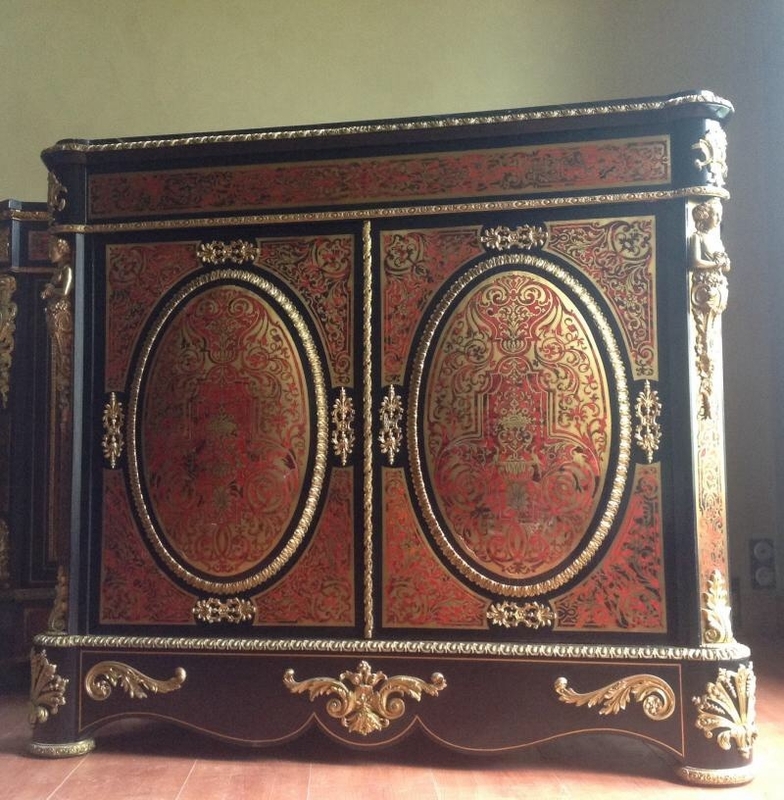 Boulle marquetry born in the seventeenth century, under Louis XIV and is named after André-Charles Boulle, master cabinetmaker to the King’s court. 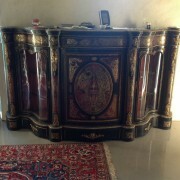 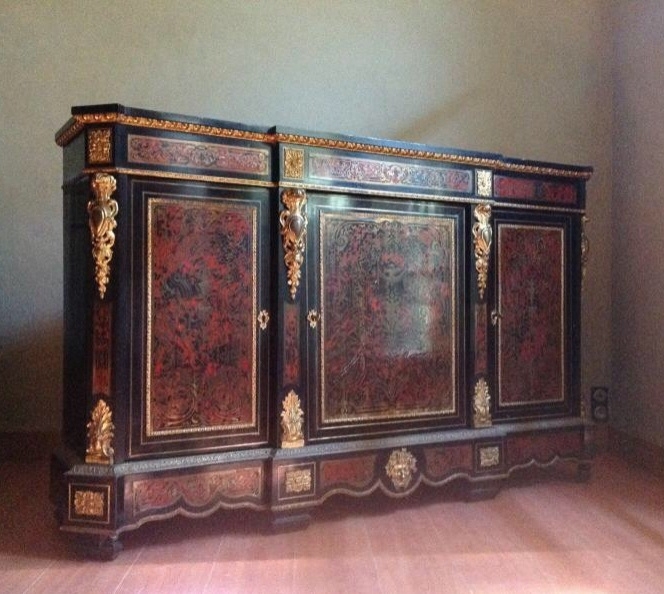 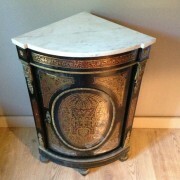 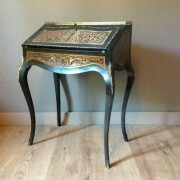 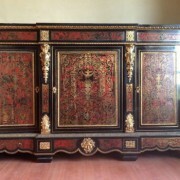 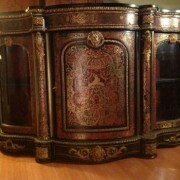 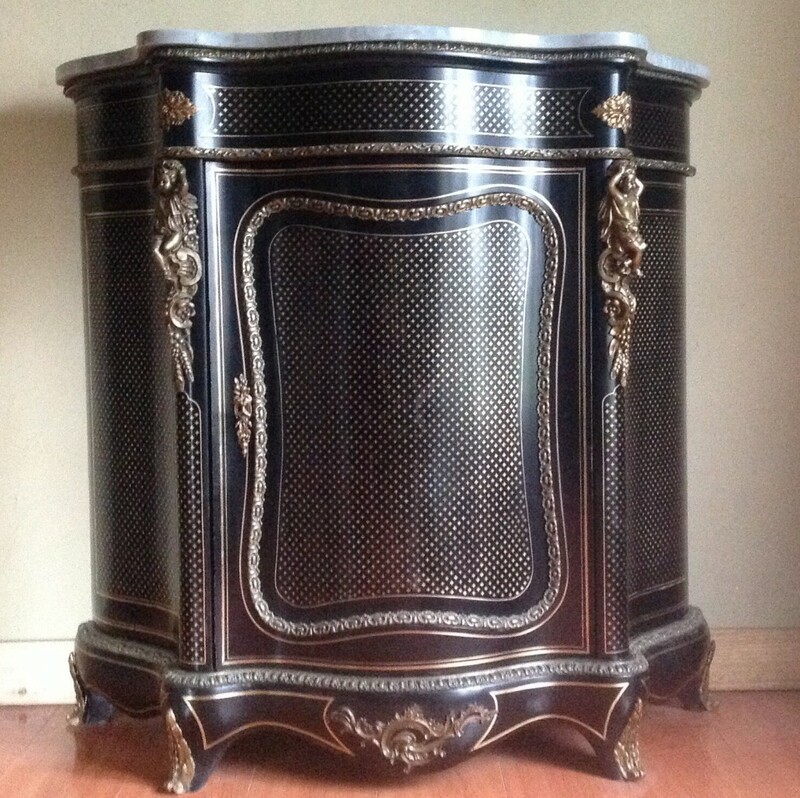 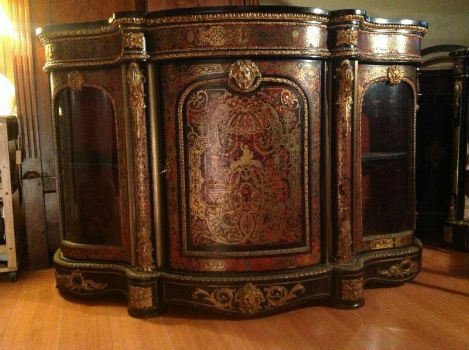 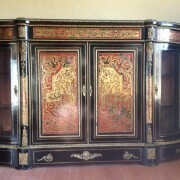 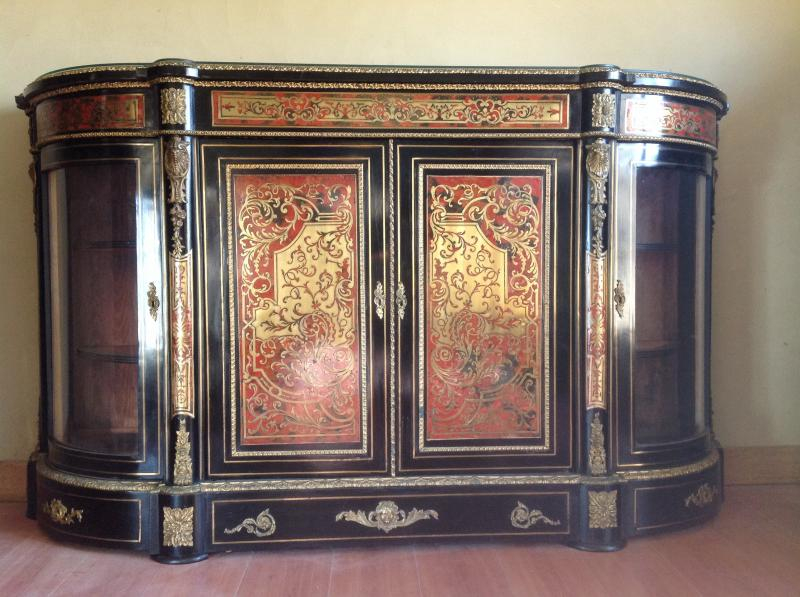 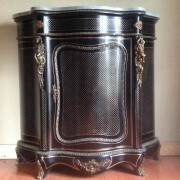 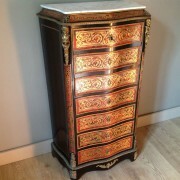 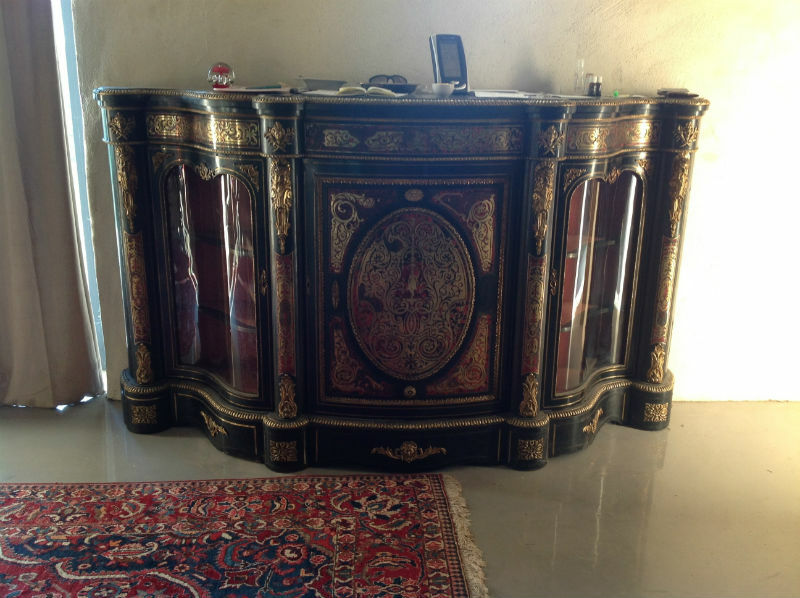 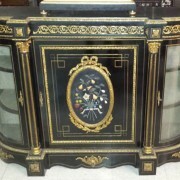 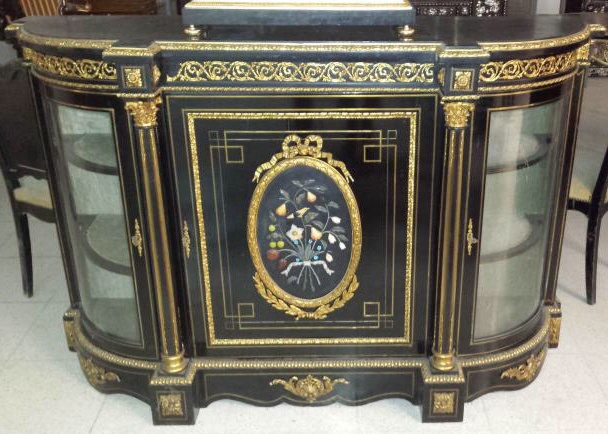 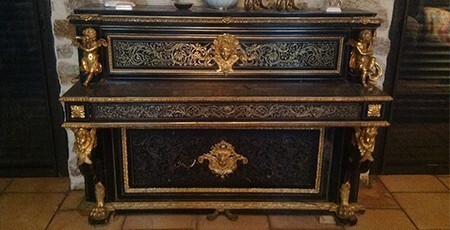 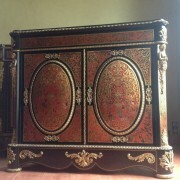 What characterizes Boulle marquetry, is a shell plating (real tortoiseshell) combined with metal, usually copper / brass. 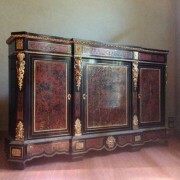 This technique appears in the sixteenth century, but André Charles Boulle (1642 – 1732) which will undoubtedly this technique inlay on top of his finesse and artistic creativity. 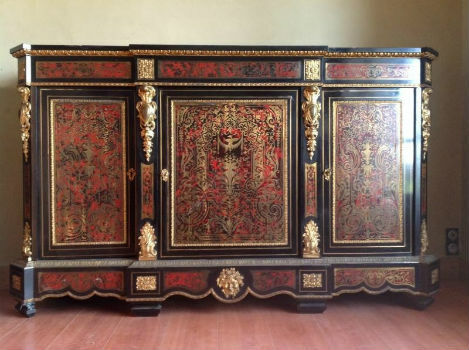 Became Prime cabinetmaker of King Louis XIV, the famous Boulle associated pomp of Versailles gave birth to a quantity of furniture and objects in Boulle marquetry of exceptional inventiveness. 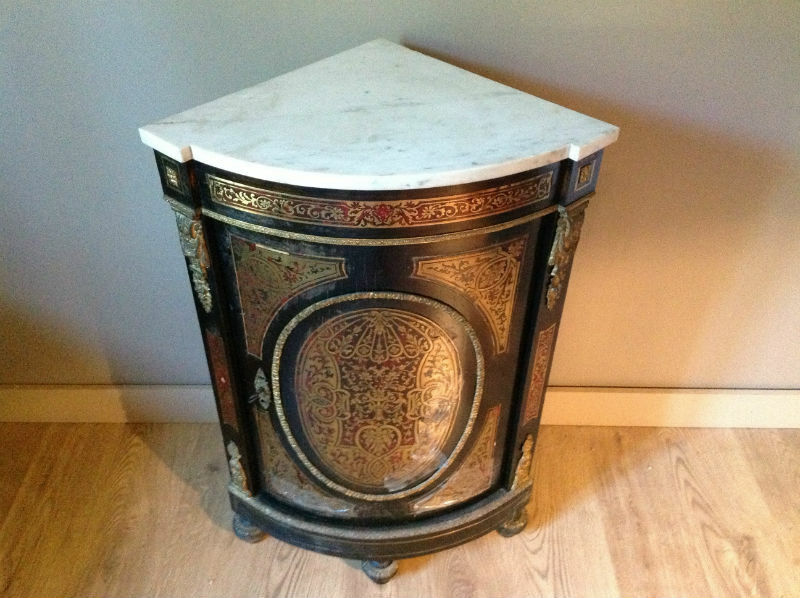 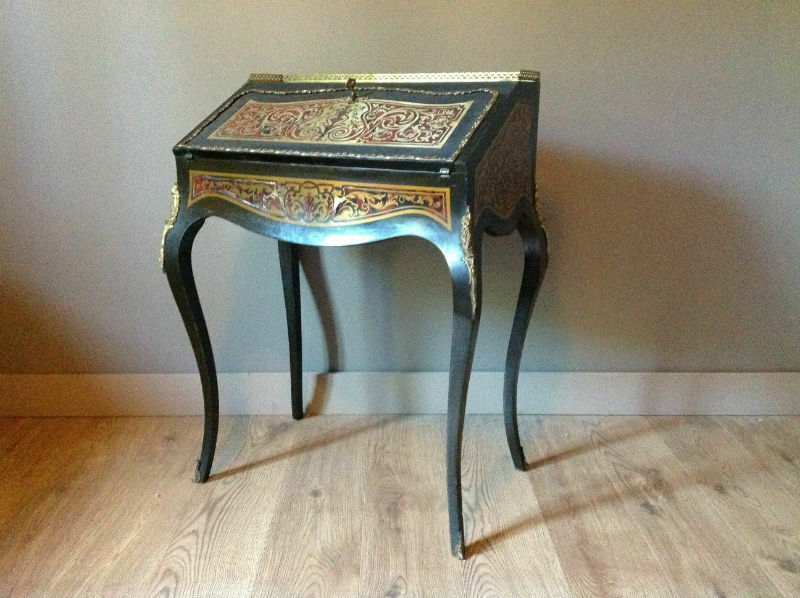 Boulle brought his furniture a major innovation: bronze ornaments to protect the most sensitive parts of its parts. 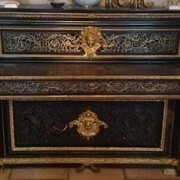 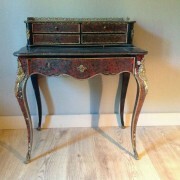 Dressers, support furniture, office is decorated over the years bronzes, most spectacular all caryatids as each other!